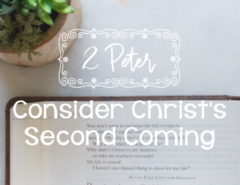 Have you ever read all of 2 Peter carefully? If your answer is “no,” we are in the same group. It has been valuable for me to walk on my tiptoes throughout this letter. I’ve been encouraged and challenged to live up to my faith. Today we will concentrate on six verses that are like the Post-It notes of the Bible. 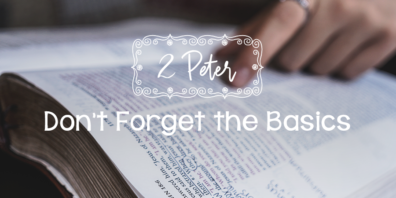 Peter tells us about the importance of remembering, and he does it with the authority of one sent by God. Let’s pay attention and read the Bible together. Grab your Bible, and turn to 2 Peter 1:12–18. We’ve also listed the verses below for you. We have everything we need for life and godliness. He has called us to His own glory and excellence. He has given us precious and very great promises. Through the promises, we become partakers in the divine nature. We need to strive to add virtue to the faith that has been given to us. Our diligence in growing in godliness is an evidence of our salvation. All this is the foundation of our faith! Peter is ready to remind us of these things. We all need these reminders whether we’ve been following Christ a few months or many years. 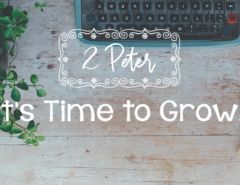 Peter reminds us to repeat these truths to our hearts so that we don’t take our salvation for granted and we let down our guard in striving for spiritual growth. The reason we need to remember the gospel is because we forget so easily. We forget who we are, our condition in front of God, who God is, as well as our real enemy. I am so forgetful! Sometimes I think my brain has holes in it and the Truth slips out. I need reminders of God’s grace! It was so important for Peter to remind us of these things that this was his only mission before he died. He wanted to make sure we understood that the Truth that sustains our faith is not a simple fable. Because he was an eyewitness to the majesty of Christ, he wanted to be a constant reminder for others even after his death. If you believe you are firm in the Truth, then you need to remember it every day! Speaking about reminding, let’s remember who Peter was . . . he was the one who denied Jesus three times, even after being warned. At the key moment, he didn’t remember what Jesus had told him or what Jesus had promised! Peter’s tears of repentance were bitter. But as grace always wins, he is the same Peter whom Jesus mentions when He called His disciples after His resurrection. 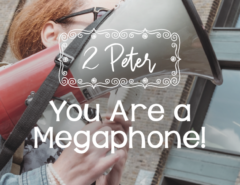 Peter was the one who Jesus asked to pastor His sheep. Do you see it? Peter knows firsthand the danger of forgetting and the importance of alerting others to remember the Truth. Just like Peter, we need to be living reminders, women who embrace the promises of God so strongly that the world doesn’t affect our lives. 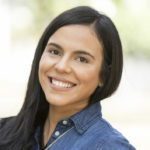 We need to be young people who try our best to grow in virtue, in knowledge, in self-control, in perseverance, in mercy, in brotherly kindness, and in love. Do you remember why? Because that is the most evident proof that we have believed the true gospel and that our faith is genuine. That’s the kind of reminder the world hopes to see. It’s my prayer that you are always ready to remind others and that you do it diligently at all times. Are you so used to the “Christian routine” that your effort to add virtue to your faith has been weakened? Which reminders of the gospel do you have around you? 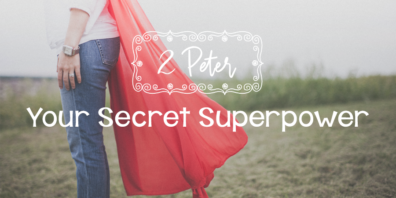 Are you helping others to remember the truths that Peter teaches us?